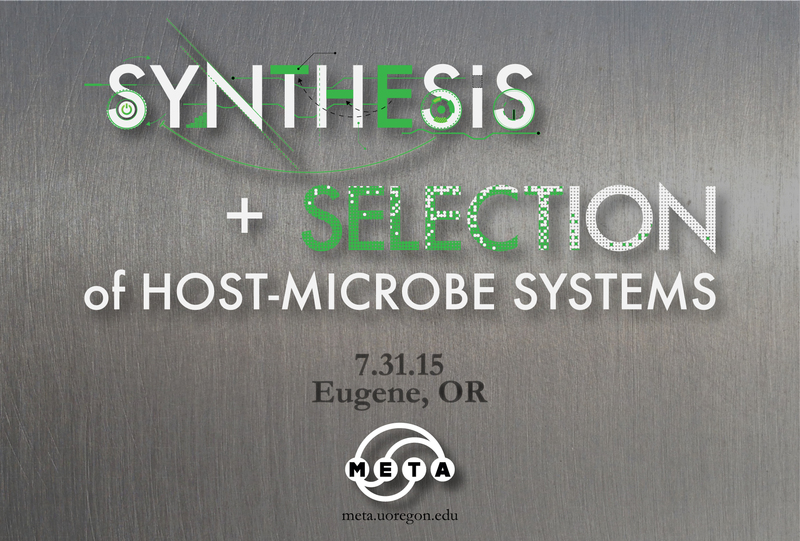 The META Center for Systems Biology will host its second annual symposium in Eugene, Oregon on July 31-August 2, 2015. The Symposium on Host-Microbe Systems Biology will focus on the theme of “Synthesis and Selection of Host-Microbe Systems”. We will explore the properties of host-microbe systems from efforts to build these systems de novo, using approaches of synthetic biology, and to subject these systems to selective pressures, using approaches of experimental evolution. Registration is now open. Details about the symposium are available on this website. Be sure to plan to be in Eugene in July and August for this exciting scientific meeting.